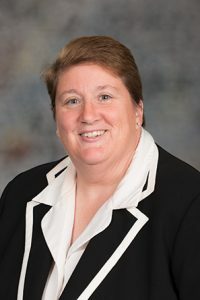 LB791, introduced by Crete Sen. Laura Ebke, would remove state patrol sergeants from the collective bargaining unit and instead place them in the supervisors unit. Additionally, it would remove disciplinary and investigative procedures from the scope of collective bargaining. A Business and Labor Committee amendment, adopted 42-0, replaced the bill with provisions of Ebke’s LB792. As amended, these would require law enforcement agencies to document the reason for and circumstances surrounding an officer’s separation of service from that agency. The head of that agency must then submit the report to the Nebraska Crime Commission. Additionally, agencies would be required to submit a more detailed report to the Nebraska Crime Commission if an officer is terminated from employment or allowed to resign in lieu of termination for conduct that would constitute incompetence, neglect of duty, incapacity, dishonesty, a guilty plea to a felony charge, a felony conviction or another violation of the officer’s oath of office, code of ethics or statutory duties. The report must include a summary of the relevant allegations and identification of any witnesses to such allegations. The law enforcement agency report must be submitted within 30 days of the employee’s termination. A law enforcement officer terminated under such circumstances would be required to sign a waiver upon application for employment with a new agency that would allow the prospective employer to contact the officer’s former agency and obtain a copy of the report detailing his or her separation from previous service. The former employer would be required to provide the report if requested. The person designated to prepare such a report would be immune from civil liability if he or she provides the information in good faith. Finally, the bill would allow state employees to report sexual harassment directly to the state Department of Administrative Services. The investigation would be conducted either by the department or the state agency where the employee works. The department or agency conducting the investigation would maintain the confidentiality of the reporting employee and any other person participating in such an investigation except in cases when disclosure is authorized in writing by the person or when necessary to conduct the investigation or impose discipline. Additionally, the person against whom the allegation is made would be informed of the reporting employee’s identity. The state agency employing the reporting employee would be prohibited from retaliating or discriminating against the employee or any other person for participating in the investigation. • prevent, limit or restrict access by the commission to internal investigation reports or materials. Ebke introduced an amendment, adopted 42-0, which shortened the records retention period from 10 years to five. It also limited a hiring agency’s authority to subpoena records only from the Nebraska State Patrol. Grand Island Sen. Dan Quick opposed the bill. LB791 would create a precedent for courts to follow, he said, that could negatively affect a union’s collective bargaining authority. “We already have a law within the state to regulate how the process works and I’m afraid we’re going to lose that process for other unions down the road,” Quick said. 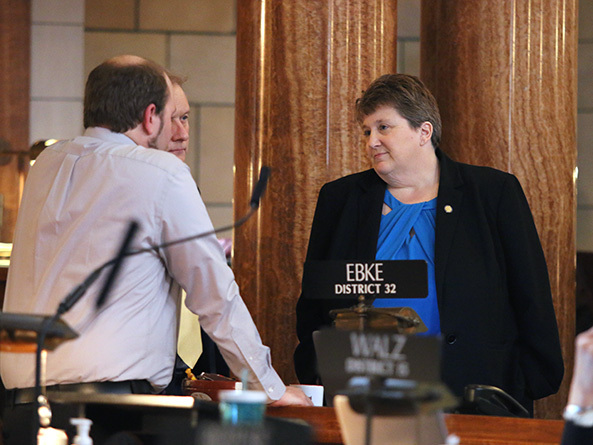 The bill would have only a limited impact on collective bargaining, Ebke said, and only for the state patrol, which agrees with the proposed changes. “It’s important for us to have a level of confidence that those who are doing things wrongfully are being appropriately dealt with and to have transparency through the process,” she said. After several hours of debate, Ebke offered a motion to invoke cloture, or cease debate and vote on the bill. The cloture motion was adopted 34-3. Thirty-three votes were needed. Lawmakers then voted 35-0 to advance the bill to select file.